Establishing a personal brand is an essential foundation for successfully launching your career and personal success. Creating your personal brand or “branding” is the process of creating a unique name, image, and (in some appropriate instances) motto for your product or service that will become ingrained in the consumer’s mind. 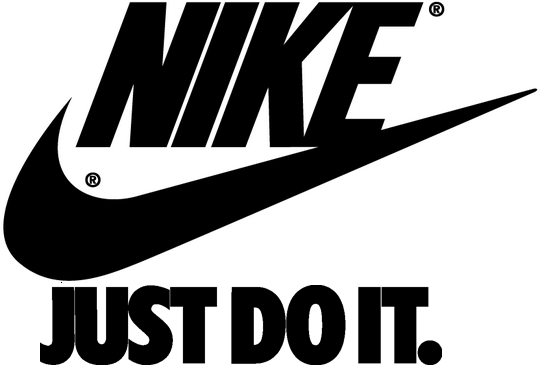 You want your brand to be catchy, like Nike’s “Just Do It” swoosh, and memorable, like McDonald’s golden arches and companion “I’m Lovin’ It” marketing jingle. What these infamous brands share is their global reputation; that is, they are instantly recognized anywhere in the world. While the whole world might not be your target audience, your goal is the same: you want your brand to be instantly recognizable. Your personal brand is the complete experience a customer has with you and what you represent. If a consumer visits your website, meets you in person, and/or follows you on your social media outlets, what is their personal experience with you going to be? What kind of experience do you want them to have? These questions are critical in discovering the type of brand you need to establish and how to attract your brand to potential customers. 1. Define your brand attributes. Your personal brand cannot be anything. It has to be specific and fitting for the career you are attempting to launch. If your goal is to sell artwork, you’ll likely want your personal brand to reflect your artistic talent through skilled script and colorful etchings. Think about what message you want your personal brand to convey. The brand attributes you determine should support your product or service in a manner that associates you with the product or service you are marketing. The best way to make your brand stand out in today’s flooded market is to create a brand that is unique and personal to you. Your goal should be to have a brand that is instantly recognizable to your target audience. You want consumers and potential customers to quickly identify your brand with you specifically. Some simple ways to personalize your brand include using a logo. Another great way to do this is by personalizing communication with your clients. For example, send customers “thank you” postcards for buying your first ever novel or for helping you advertise. Customers will feel appreciated if you personalize their experience and will ultimately offer testimonials by sharing their experience with others. To successfully launch your personal brand it is critical to be consistent across all channels. Creating different brands for the same product or service on each social media account you have is an easy way to sabotage your own business. You want to create an instantly recognizable brand, right? This means being consistent with your brand in every place you advertise. Your business cards, personal/professional website, social media profiles, and any marketing materials should use consistent fonts, colors, and styles to emulate that personal, recognizable brand you’re aiming for. Nothing will confuse consumers more than inconsistent brand images for the same person, product, and/or service. This means that your name, colors, tagline, and advertising should be mimicked across all channels. 4. Be purposeful in your advertisements. Nobody wants to be harassed into buying the newest hot fad in the market. If anything, the constant annoying encouragement to buy a product or invest in a service leaves many people with a bitter aftertaste. Rather than purchasing what you’re trying so desperately to sell, consumers will likely shy away from products or services that seem to be chasing them in sales pitches. For this reason, be purposeful in what you share. Every advertisement contributes to your personal brand and the experience consumers have with you. Be certain your marketing attempts bring meaning to your brand in a positive manner. Being purposeful is bound to bring positive attention to your business. Branding yourself is hard work. Many people go through branding and rebranding. Starting off it may be a breeze to throw a tagline and image together and claim it as your own, but overtime your brand is going to further develop and likely change. Remember to make your brand yours. You want your personal brand to reflect who you are and what your business is all about. On a first attempt you may be inaccurate in capturing yourself right away; and that’s okay! Be patient with the branding process and let your creativity guide you into a successful and instantly recognizable brand. Branding yourself can be tricky, but it is an essential component in launching your career. Despite all of its quirks and challenges, your personal brand defines you in the business market. Be sure your brand represents you in a positive light, captures your product or service honestly, and is as memorable as can be. Studying popular brands and brands in the same business niche you are categorizing yourself as will help you further develop and grow. These tips for branding yourself are just scratching the surface. Here at GenTwenty we believe you have all of the necessary tools to establish your personal brand. Go on and give it a try. We believe in you!